I'm so excited to share a little sneak peek of a book I will be in. It doesn't come out until December but C & T publishing has a picture of the cover on their website! You can find it Here and is available for pre-order on Amazon too! It is a paper piecing book with lots of small projects - 37 to be exact. You can see my round apple pouch in the upper left hand corner and if you look very carefully my calendar block is the center right on the bottom center pic! Lots of my Ringo Pie Bee friends are in the book as well as ladies from the "Sew out Loud" quilt along! I also just finished a project for the Liberty Lifestyle Blog! I just love Liberty fabric and I am so honored and excited to be working with Liberty. It is a fun and easy project that I promise you will love! Liberty has been a favorite fabric line for some time. I did a little post about designing with Liberty here. That is so exciting for you...congratulations! Yay for you in a book - I can't wait to see it when it comes out!! Congratulations,you have been a busy girl! Best wishes for continued success. How exciting, Charise; congratulations! 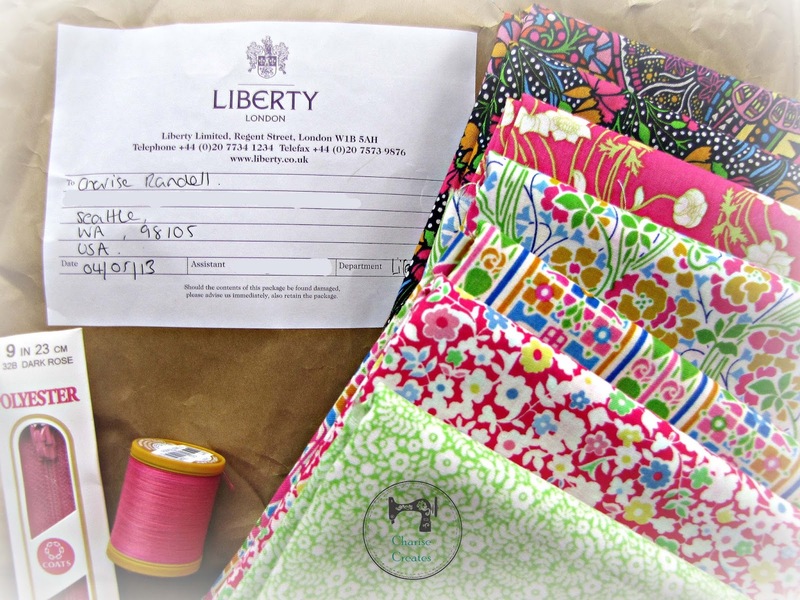 Those Liberty fabrics do look luscious. I wish they were easier to find in the States. Looking forward to your book, too! Congratulations! Can't wait to see this book! Can't wait for the book. This is so exciting for you and I'm really happy for you too. Can't wait to get my hands on the book! Congratulations on being in it Charise, and on the cover! Added it to my wish list. Congrats! That's wonderful! Congratulations! I can confirm it is available on Amazon to pre-order. There is no photo up yet, but soon, I'm sure. I have been paper-piecing my way through Week 3 of the Zakka Along for Patchwork Please - loving it! I will be sure to order this gorgeous book, too. It looks like a beautiful, clever, inspiring book! I should get one for my sister for Christmas - she is an excellent paper piecer, too! My boys always loved reading. During the hot afternoons, it would be book time. They loved it. They would join the summer reading program at the library, but, they'd be reading 5-6 times as many books as was required. They even took turns reading to each other (3 years difference makes a difference in skill level). Both boys benefited by this. At the end of the afternoon, when hubby got home, all three guys went to the pool, while I got some quiet time, and prepared supper and 'played' however I wanted to. Fun post full of beautiful fabrics Charise! So exciting to have your patterns in this new book...it looks like it is filled with wonderful designs :) When my son was growing up we made regular trips to the library every week. He had his own library bag where all of the books were kept when they weren't being read. We also stocked up on craft supplies. Somehow we always managed to get out at least once a week for ice cream, too! !